The Mixed Commission appointed to settle the status of claims in the Eastern Provinces met today in the Bulgarian capital Sofia. A spokesman announced that the meeting proceeded in a cordial fashion and excellent progress had been made. In a widely publicised demonstration of the growth of the Royal Yugoslav Navy the Adriatic shipyards launched today the last three units of the Galeb class minecraft that have been under construction. It is expected that these handy craft will soon be completed and enter service with the fleet early next year. In a special dedication ceremony at the Zastava Ordnance Works the first twelve Model 1940 75mm Divisional Guns were handed over to troops of the Guards Artillery Regiment. 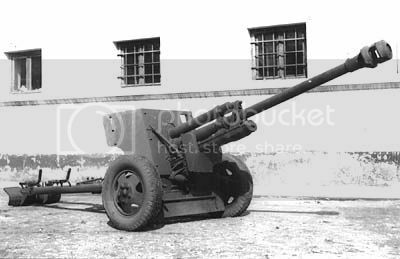 The Model 1940 is in production for the army to supplement its new gun howitzers but has shown great promise as an antitank gun.